Experience a detoxifying Salt Scrub, formulated with only the richest, natural ingredients. Apply in a circular motion to stimulate blood circulation and leave skin feeling revitalized and smooth. In addition to its therapeutic properties, sea salt will cleanse and exfoliate your skin, giving it a healthy glow. Blended with moisturizing oils and Shea butter, and with your own custom blend of PürBlends™ oils, or one of exclusive Signature Blends, this product is an affordable luxury you can’t afford to pass up. 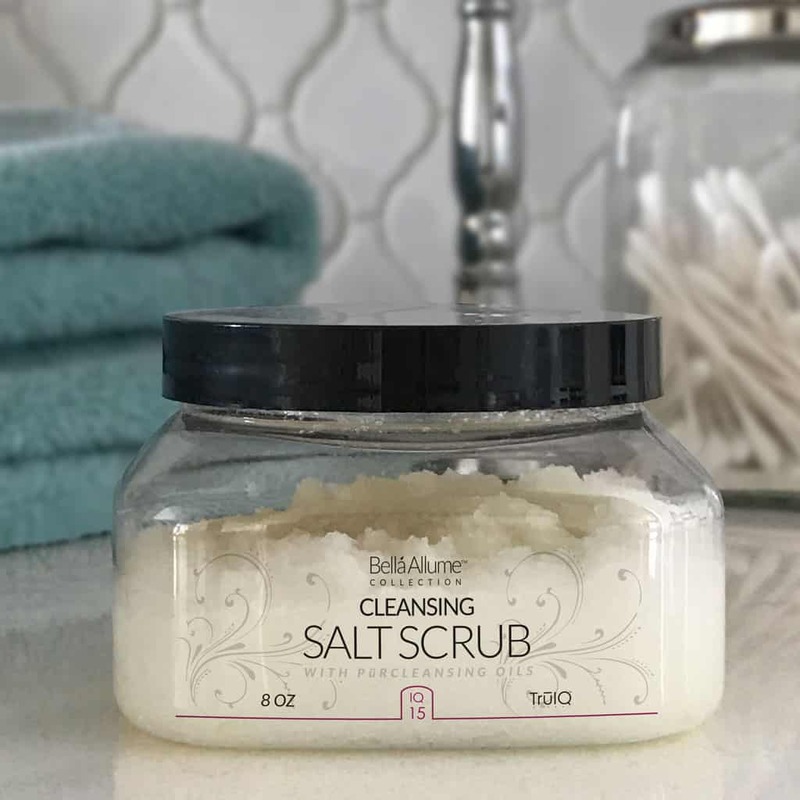 Formulated with rich, natural ingredients, our Salt Scrub will help stimulate your circulation and leave skin feeling revitalized and smooth. In addition to its therapeutic properties, sea salt will cleanse and exfoliate your skin, leaving it soft and supple. To Use: Apply to wet skin and massage gently in a circular motion. Rinse skin thoroughly. Follow with Body Mist and either Bella Allume Body Butter or Body Lotion for incredibly soft, touchable skin. Ingredients: Sun Dried Sea Salt (fine grain), Glycerin, Sunflower Oil, Jojaba Oil, Apricot Kernal Oil, Sweet Almond Oil, Shea Butter, Almond Butter, and Grapefruit Seed Extract.